Join York Street Project on Thursday, June 15th from 6-9pm for their annual fundraiser and street festival, Evening Under the Stars, with food tastings, drinks, and live music. As more and more development takes place in the Heights and more residents flock to the neighborhood, the rate of opening for new bars, restaurants, and food options is steadily increasing. Three downtown businesses are opening new locations, several new spots are opening up, and some long-time Heights businesses are also expanding. Most recently, The Cliff - a European-inspired and vegan-friendly cafe, and Pampita Meat Shop, an Argentinian butcher shop, opened their doors, but there's a lot more to come. 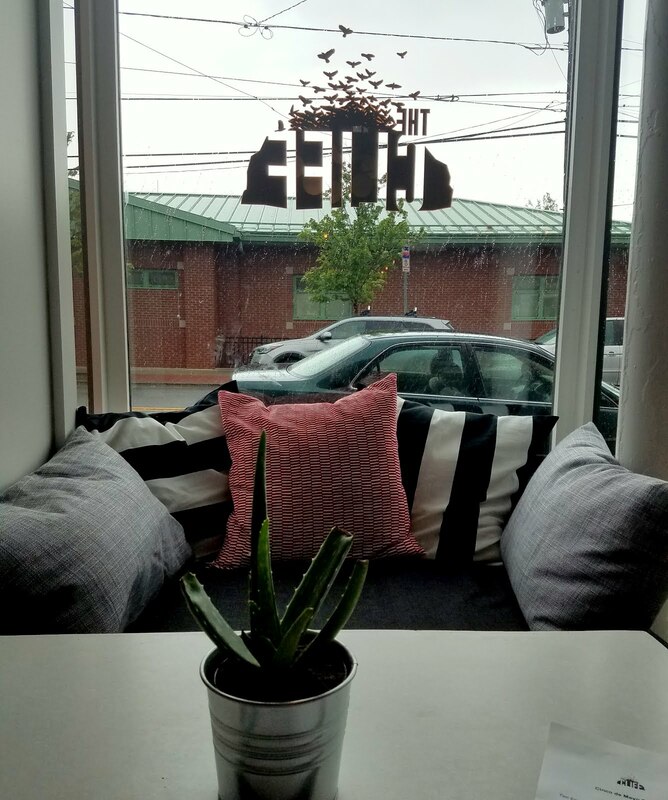 Low Fidelity, known as Lo-Fi, is a new bar and restaurant being created with help from the team behind the Archer. 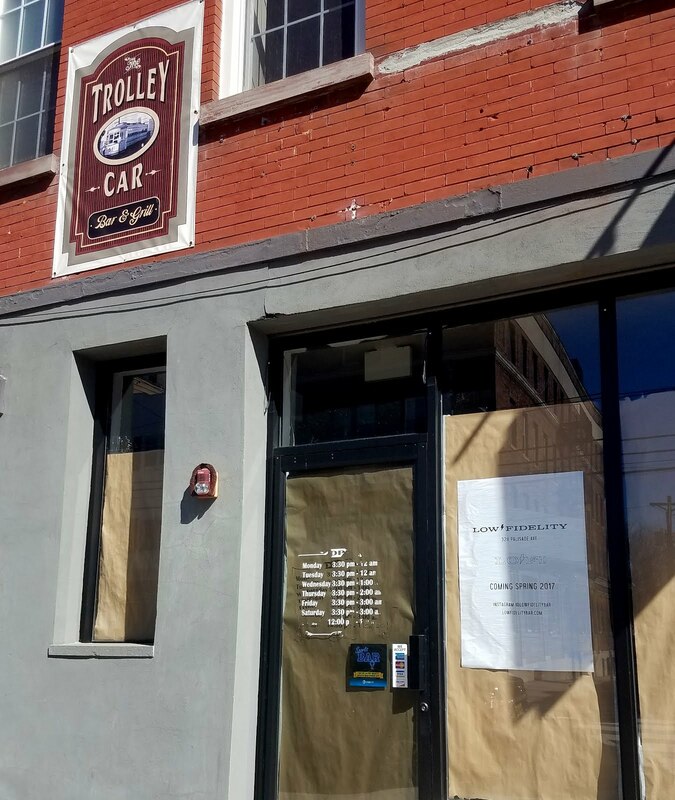 Located at 328 Palisdae Ave in the former Trolley Car Bar space, the bar will feature several craft breweries on tap along with a specialized cocktail list and they're hoping to make as much use out of the backyard as possible. There's been a lot of progress in a relatively short time, most recently with awnings going up, and the owners are aiming for a June opening. Also soon to open on Palisade Ave, right next to Lo-Fi at 330-332 Palisade, is the newest location of Choc-O-Pain. This location will serve as their commissary and primary baking facility, supplying their other locations and will also have a retail storefront and cafe, offering their fresh-baked bread, pastries, sandwiches (including vegan options) and more. The space has undergone a huge amount of renovation and there have been several delays, but now they're getting very close to the finishing line. The awnings went up last week and they're also aiming for a June open. On Central Avenue, there's even more to come. Downtown favorite Cocoa Bakery will be taking over the former Goehrig's Bakery which unexpectedly closed almost three years ago and has remained empty since. Right now, the hope is to open the new bakery space sometime this fall, but there is no definite opening date. 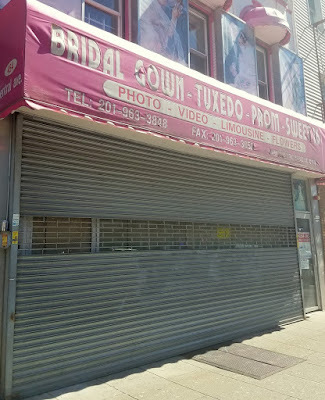 For those looking for even more baked goods, La Unica Bakery is moving into 454 Central Ave into a former formal-wear shop. An expansion of the Union City location, La Unica is known for their Cafe Con Leche, freshly-baked bread, and cuban sandwiches. There is no estimated date of opening, but considering they're changing from a retail shop to a bakery and based on the level of progress right now, I'd say it will be some time before we see it open. Further south at 380 Central Ave, Gino's Pizza started construction on a new bar area and should have it up and running within the next several weeks. They remain open and are allowing full service in the meantime. 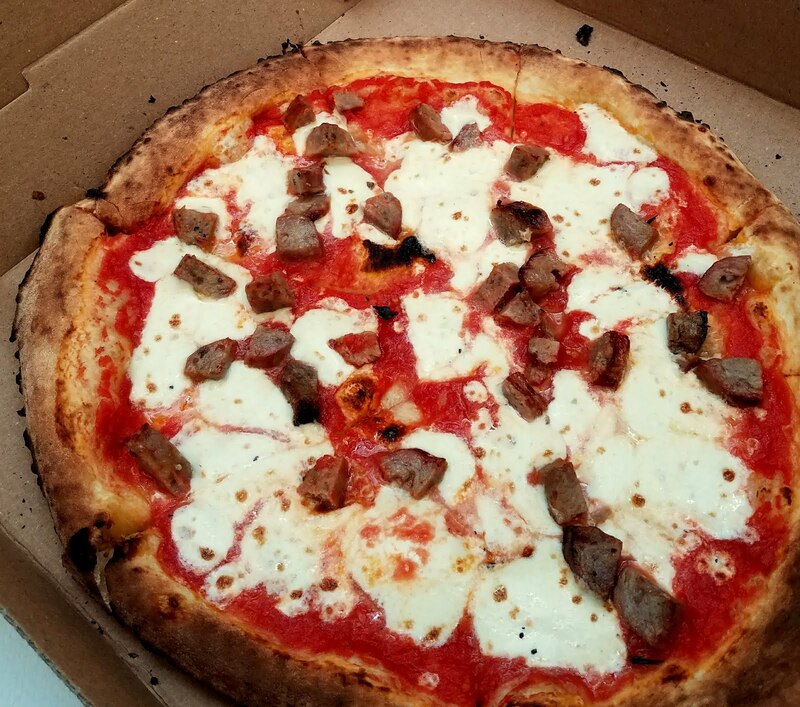 Also performing an expansion is Renato's Pizza Maters at 278 Central Ave which will now include 274-275 Central Ave. They currently have both a sit-down dine-in area as well as a casual pick-up space, but they've taken the extra space to further build out their dine-in space, adding room for at least 50+ more diners. The expansion is anticipated to open later this year, hopefully by fall. There are also plans for at least two more restaurants, a cafe, and another pizza place currently in the works to be opened within the next two years. Stay tuned for more definite dates as the openings get closer and further details on what else is to come! Midnight Market is hosting a Family Day on June 17th from 4pm-11pm at The Beacon and it will include a screening of Mrs. Doubtfire. Third & Vine is going to start offering a limited selection of their condiments for sale- $10 for 10oz to be used on cheese or whatever else you might want. Eighty Mag and Gramforacause are teaming up to offer a Kamayan dinner to help support Church World Service in their work with refugee families in Jersey City. The funds raised will towards groceries for the families. Hamilton Pork will be open for their regular hours and will also be serving their brunch menu on Monday. 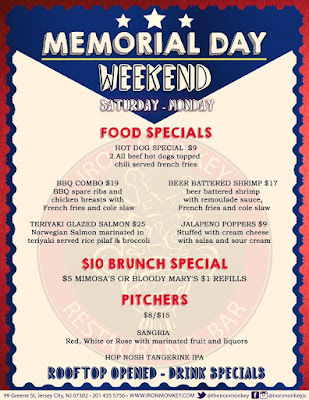 Wurstbar is offering $5 Haus Dogs for Memorial Day along with their regular menu. GP's is celebrating all weekend with brunch, lunch, and dinner every day from Saturday through Monday with a Memorial Day spin on their house specialty ricotta pancakes - served with blueberries, raspberries, and whipped cream. 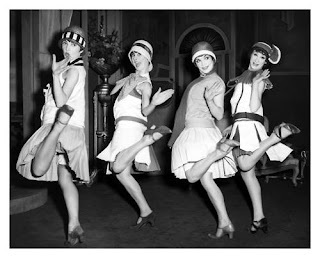 LITM and Hendrick's Gin are hosting The Garden Party: A 1920's Jazz Shindig on Saturday night beginning at 6pm. There will be Prohibition-Era cocktails, live music, lawn and card games and much more. Dressing up is optional. 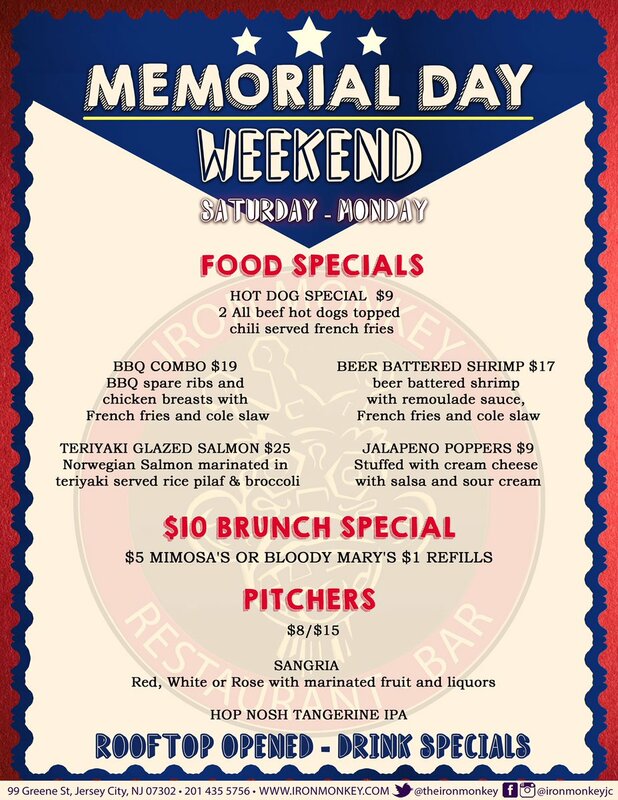 Left Bank Burger Bar has a variety of both food and drink specials all weekend including $5 sangria and margaritas, $5 burgers for take out, and $10 specials on Monday along with 10% off for veterans and civil service. Talde is hosting a Memorial Day Weekend Beach Party on Sunday from 12-8pm with a $30 All You Can Eat Menu featuring Jerk Chicken Wings, Lonaniza Burgers, and Hot Dogs with a ton of toppings, sides, and Filipino Coconut Fruit Salad and Funnel Cake for dessert. Tickets can be bought ahead of time or are $35 at the door. The Farmers Markets at Van Vorst Park and Riverview Park are on as scheduled, but the Grove Street Market on Monday is canceled because of the holiday, so plan ahead and stock up on Saturday and Sunday. Seven Sheep Coffee will be open until 3:30pm Friday & Saturday, closed Sunday, and open until 3pm Monday. Squeeze'd will be closed on Memorial Day. Keep checking back for updates on special menus and hours. 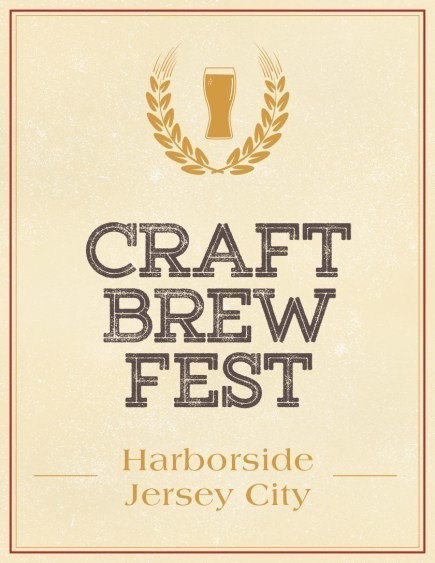 Happy Memorial Day Weekend Jersey City! 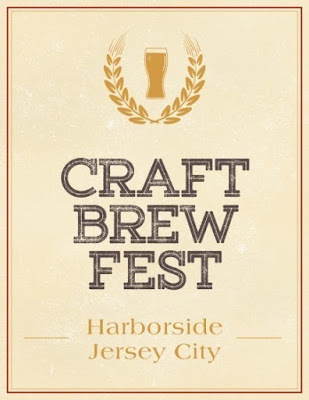 The Jersey City Craft Brew Fest returns to Harborside on Saturday, June 3rd after the initial success of their event in October. Congratulations to Wurstbar on being named one of the 32 Best Restaurants for Booze in America. The expansion of Uncle Momo and Diesel & Duke were written up by the Jersey Journal. GP's is now open for lunch, Monday through Friday from 11am-3pm. 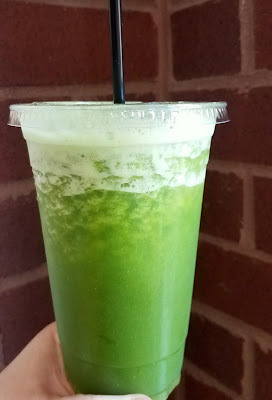 This week's feature is the Green Smoothie from Whealth. 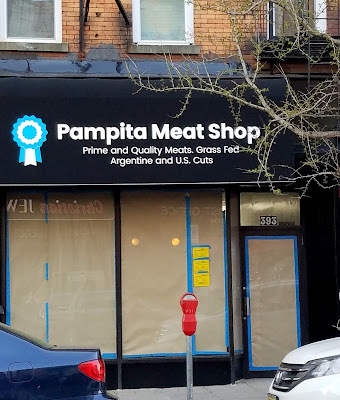 Pampita Meat Shop, a new Argentinian butcher shop, is opening today at 393 Central Ave in Jersey City Heights after undergoing construction for the past few months. Pizza Vita is joining the ever-expanding list of Harborside Pop-Ups from Mack-Cali. Available for lunch from 11am-2pm during the week, the pop-ups are made up of vendors from across New York and New Jersey bringing different cuisines and more lunch options to the area. Per WiredJC, French-Lebanese restaurant Uncle Momo will be expanding from their Montclair location to take over the former Marco and Pepe. Congratulations to Monique Johnson of Sweets 4 Miles who will be going to the America's Next Great Baker Nationals. The Grind Shop has installed taps for their La Colombe and are now serving up Pure Blacks, Draft Lattes, and Black and Tans. 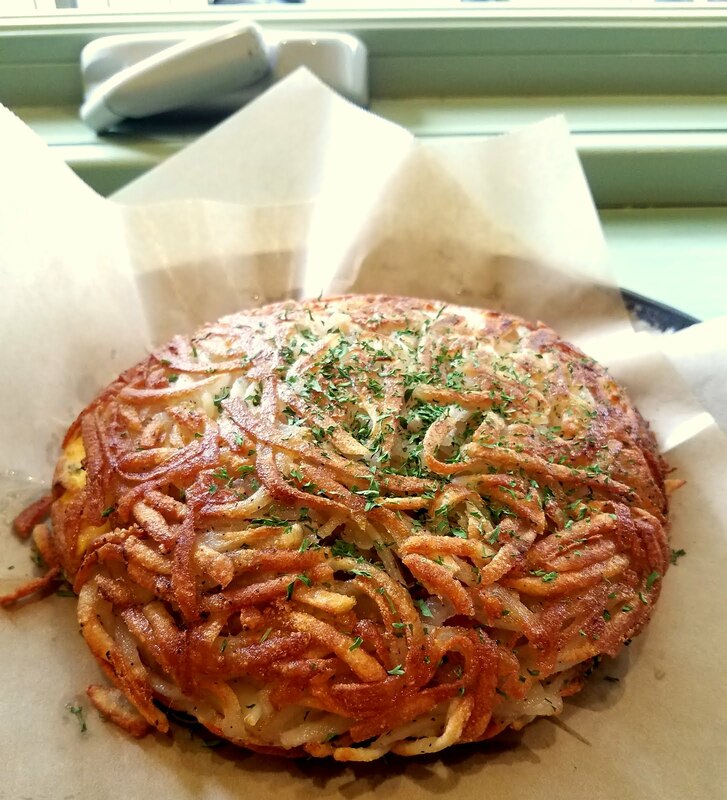 This week's feature is the bacon, egg, and cheese batata from Cafe Batata. Zeppelin Hall is celebrating Street Food of the World over the next month with rotating menus featuring popular street foods from countries all over the world, starting with Mexico and ending with food from all over Europe. Atlas Public House is kicking off a new weekly live music series with Latin gypsy jazz musicians Benjamin Husil and Frederika Krier. The music will be every Thursday with rotating artists from 6pm-8pm. FM Jersey City is having their Grand Open to the public. The 70s-inspired bar and restaurant had their ribbon-cutting early this month and have been going through a soft open, but join them Thursday for their official Grand Opening. Join Midnight Market as they celebrate this month's theme: BRUNCH! As always, everything is $5 or less and they've got a great roster of vendors with brunch-themed specials ready to feed you. Tidal Poke Co., currently at Harborside, is expanding to Grove Street. The location is currently under construction but will be open shortly. Congratulations to Graze & Braise on being featured in the latest issue of The Digest Online. Satis Bistro is hosting A Taste of Burgundy on Wednesday, May 24th at 7:30pm. It will be a four course dinner with wine pairings for $85/person. 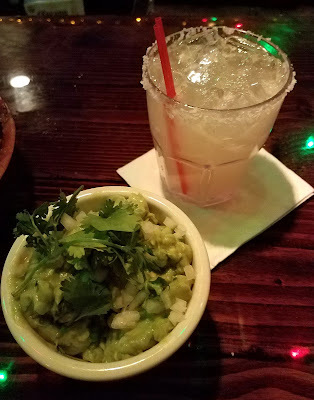 In keeping with the spirit of Cinco De Mayo, today's feature is a couple of favorites from a Jersey City standby: the margarita and guacamole from Taqueria. 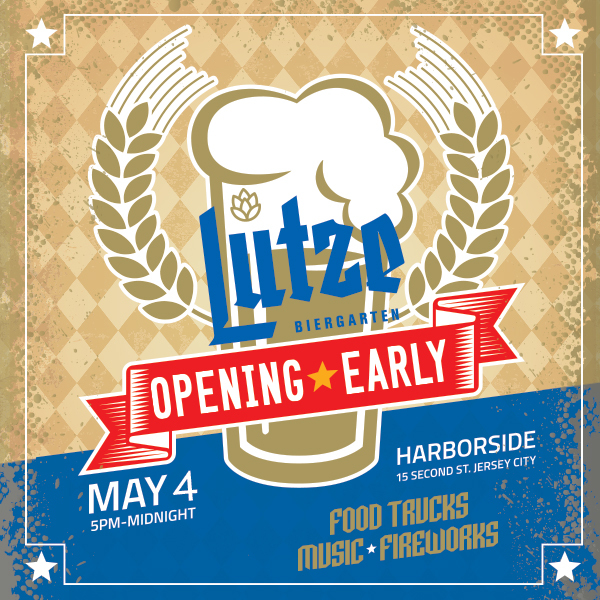 Lutze Biergarten, 3 Second street, will open Thursday, 5/4 at 5:00pm (date change due to weather), with a ribbon-cutting ceremony and a giant Cinco De Mayo-themed festival. 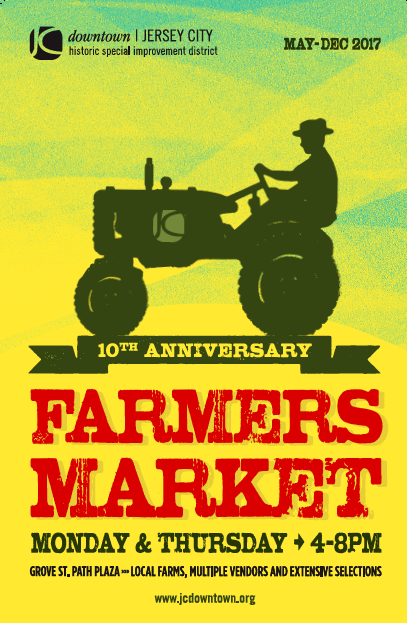 HDSID Farmers Market Celebrates 10 Years! The HDSID Farmers Market at Grove Street is celebrating their tenth anniversary!